First thing's first. Miranda Dickinson is one of my favourite authors of all time. I absolutely adore her books and I'm a bundle of nervous excitement waiting for her next book to be released. (Somewhere Beyond the Sea, released 18th June, FYI...Pre-order!) 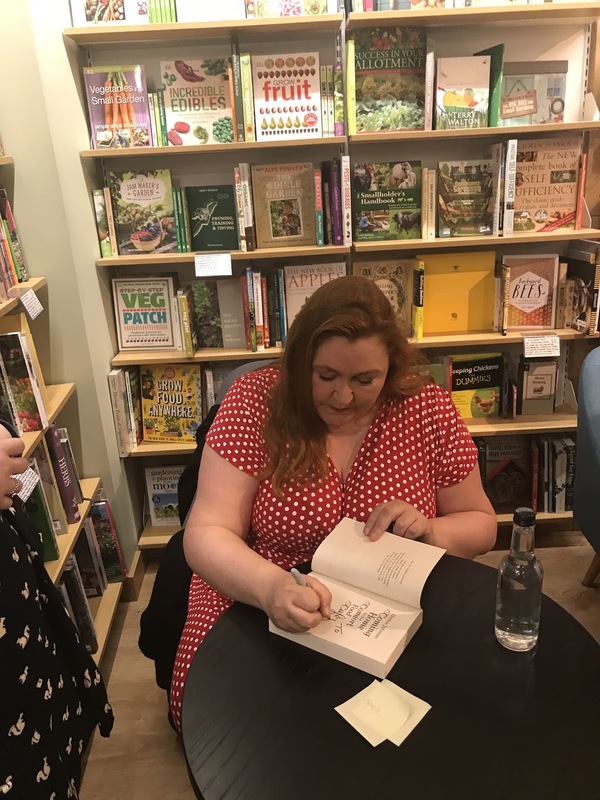 So you can probably imagine my excitement when I spotted on her Twitter page that she would be hosting an author event at Birmingham Waterstones aka The Promised Land. 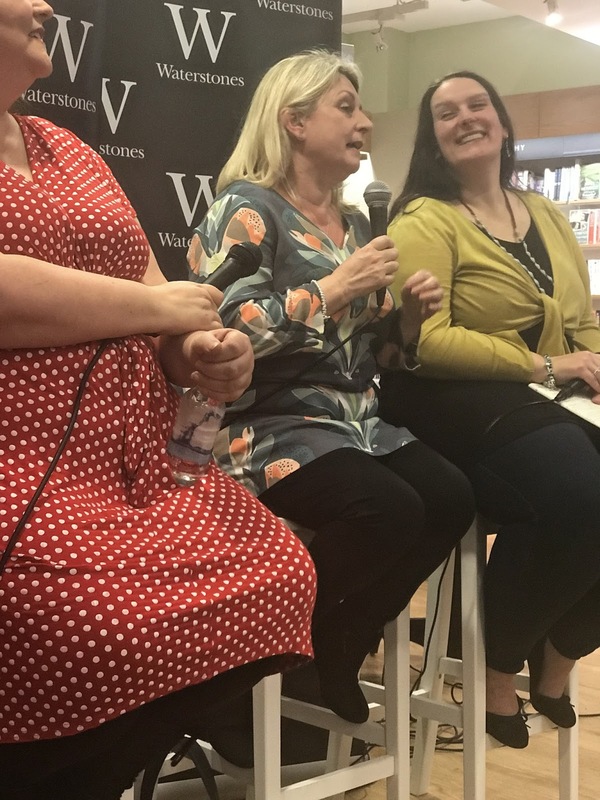 However, I think you would struggle to imagine my excitement when I discovered that not only would Miranda be at the 'Girls Night In' event but also...WAIT FOR IT...Debbie Johnson, Cathy Bramley and Milly Johnson. I KNOW. I booked my ticket at the speed of light and promptly started counting down the days until I would be in the same room as four of my favourite authors. Being greeted with a glass of prosecco upon arrival was a lovely surprise, as was then spotting the extremely fabulous Cathy Bramley. I am SO going to brag here and mention that she recognised me, which made me utterly star-struck. Play it cool...Me? Nah. I was then delighted to bump into one of my all-time favourite bloggers, the lovely Shell from Chelle's Book Reviews. A couple of selfies later we nabbed our front-row seats and grew more and more excited for what was shaping up to be, a fantastic evening. Miranda was the very fabulous host for the evening and she introduced the (packed-out!) audience to the three ladies who needed no introduction. 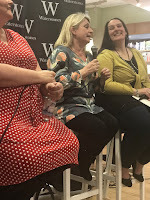 Cathy spoke about her new release, Hetty's Farmhouse Bakery and her inspiration behind the story, Debbie told us about her latest book, Sunshine at the Comfort Food Cafe and Milly spilled the beans on her new novel, The Perfectly Imperfect Woman. After questions from the audience, we were given the opportunity to get our books signed (With Shell & I making sure we took as many snaps as possible along the way...) It was incredibly lovely to meet these authors in real-life. I have been lucky enough to meet Cathy Bramley before and I have met Miranda Dickinson but only briefly, so I was looking forward to a proper chat. 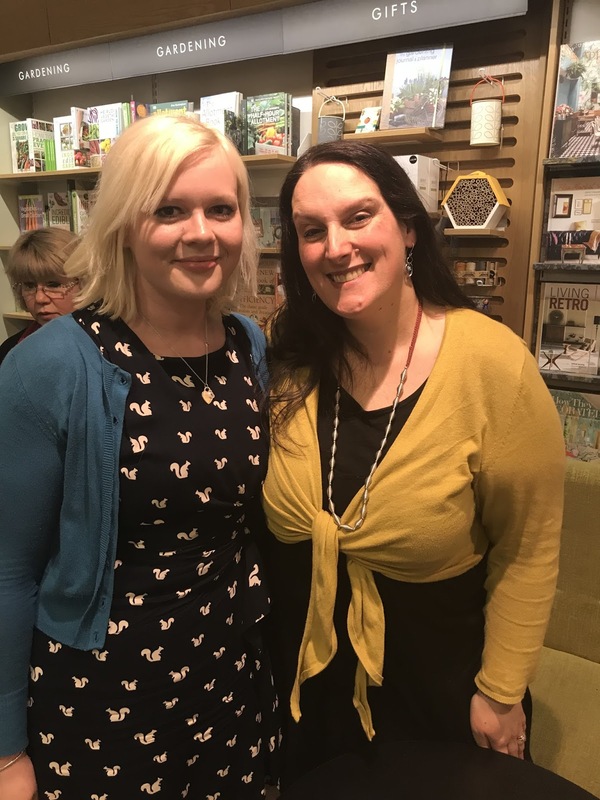 I was VERY excited to meet Debbie Johnson as I adore all of her books - and as for Milly Johnson, well, I was a teensy bit star-struck. They were all SO lovely and took the time for a proper chat with everyone. It really did feel like catching-up with good friends and it was such a lovely experience. I admire these four ladies so much and dislike how the genre of their writing often gets dismissed. 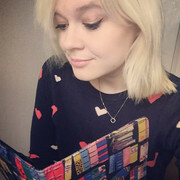 As a massive reader of 'women's fiction' (and why is it even called that?) I know all too well some peoples thoughts on it being 'light' and 'fluffy' etc etc, yawn, yawn. BUT...These people actually couldn't be more wrong. 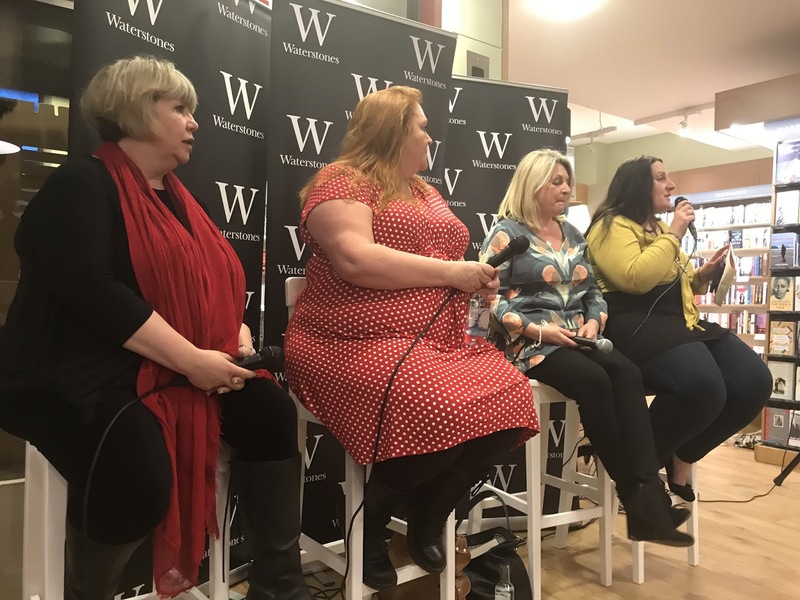 The issues that these four authors deal with in their writing are actually pretty hard-hitting and the way in which they create such strong, inspirational characters to deal with all that life throws at them is something which should really be applauded. 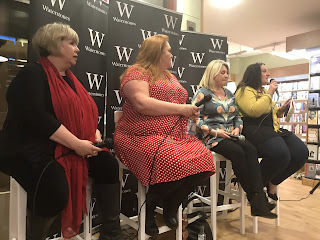 This is something which I have been trying to re-iterate for years as a fan of 'chick-lit' and it couldn't be more prevalent with the messages I am taking away from reading the books by these four wonderful, extremely talented ladies. With March being the month of International Women's Day, it was also heartening to see how much these four women supported each other, with Miranda's early recommendation of Cathy's first book being a prime example of that. These ladies are kicking-bottom with their books and they are having a wonderful time along the way. I, for one, couldn't be prouder or more pleased for them. I'm VERY excited about what the future holds for their writing. I also made some lovely new friends in the signing queue (hello Fiona, if you're reading!) 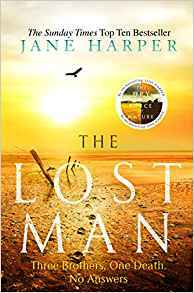 caught up with the fabulous Jane Linfoot and met Harper Fiction editor extraordinaire Charlotte Ledger. 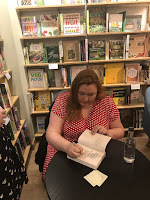 I had such an amazing evening that was packed with books, laughter and prosecco. What more could you want? A huge thank you to Miranda Dickinson, Cathy Bramley, Debbie Johnson and Milly Johnson for a fantastic evening. 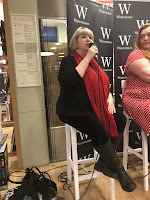 Thanks also to Birmingham Waterstones for hosting such a brilliant event and not forgetting my lovely fellow-book-blogger Shell for keeping me company. 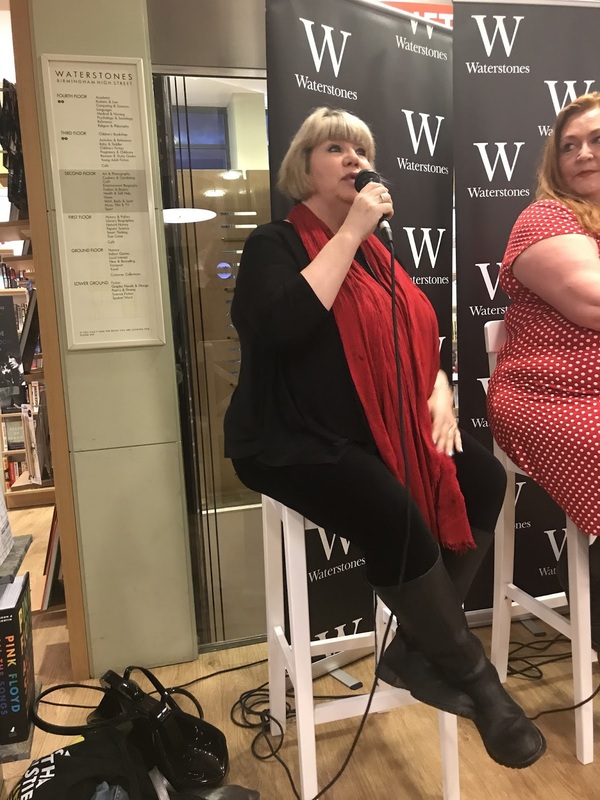 P.S - Quote of the evening definitely goes to Milly Johnson when she stated she wanted to 'write books that make people's pants drop off' and THAT'S why I love these ladies.